YEAR ROUND! Days will vary. Athletes should look at this as a 6 day per week commitment. 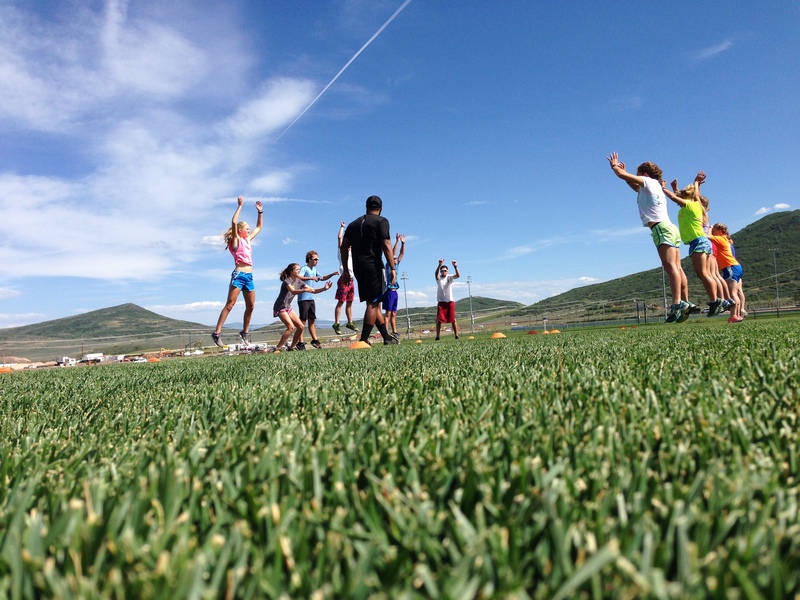 Athletes do plyos at the Regional Elite Group Camp in Park City, UT. 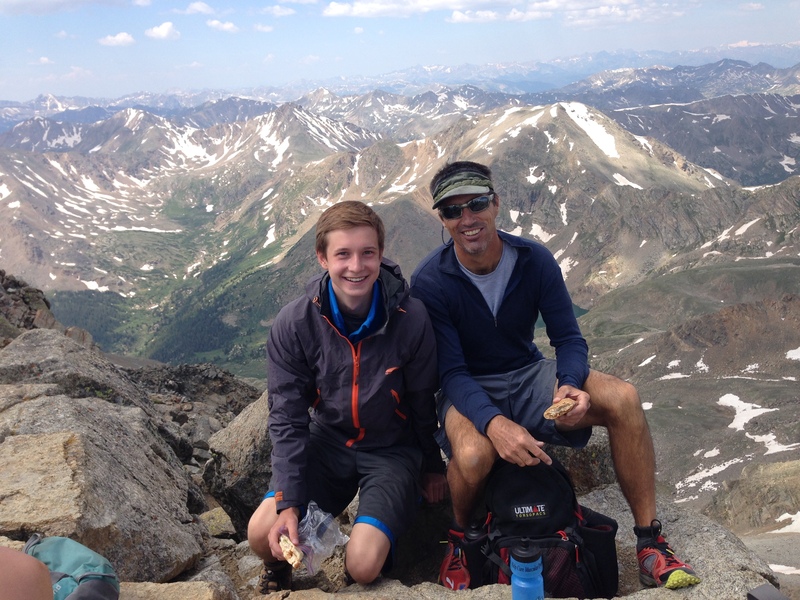 National Comp Athlete, Ricky Wojcik, and Coach, Travis Moore on a training run at the summit of Leadville’s Mt. Massive. The National Comp Team is an invite only team for experienced Nordic Skiers that have excellent work ethic and a year round desire to pursue excellence in skiing. National Comp Team athletes are expected to attend all Rocky Mountain Junior National Qualifier Races (unless a coach has recommended otherwise). The National Comp Team training regimen is designed to help athletes reach the highest possible levels of national and international competition, such as the Junior National Championship, Scandinavian Cup Qualifier Races, World Junior Qualifier Races, etc. In addition to the 5 plus day per week winter schedule, National Comp Team athletes will receive an individualized and periodized year round training plan, an online coach-monitored training log, and summer practice sessions. Athletes will have the opportunity to work directly with a coach to discuss personal training needs. Training will be based on current research and scientific principles. Athletes will be closely monitored throughout the training process via fitness testing and heart rate monitoring. All National Comp Team athletes will be expected to set an example of excellence at AVSC. Character, sportsmanship, work ethic, leadership, and inclusion will be an important part of the National Comp Team curriculum. If you think the National Comp team is for you, speak with an AVSC nordic coach today. Ability Requirements: By invitation only. For experienced skiers with very strong work ethic. All athletes are expected to compete in all Rocky Mountain Nordic (RMN) Qualifier Races and participate in summer dry land training.